Braskem and Idesa had won a 2009 auction held by Pemex, which was looking for a private company to develop a world-class production complex in return for its guarantee of a 20-year supply of competitively priced ethane feedstock. More than 30 top petrochemical companies were invited to bid but many of them were eliminated or dropped out, especially as the "shale gale" revolution raised uncertainty in global oil and gas feedstock markets. The winners, in contrast, boldly pressed ahead in 2010 and formed a new joint venture called Braskem Idesa S.A.P.I. For years, Braskem had been preparing for just such an opportunity with a long-term strategy to diversify feedstock and expand its footprint in the Americas. Senior executives had actively explored opportunities to tap other sources of raw materials elsewhere in Latin America. To advance their strategy and research, the team often relied upon information, analytics and expertise from IHS Markit. Etileno XXI is the largest petrochemical project under construction in the Americas.2 To build this huge state-of-the-art complex, capable of producing more than one million tons of ethylene and polyethylene annually, Braskem Idesa is investing approximately $4.5 billion (US). The company's senior leadership made this extraordinary commitment – the largest petrochemical investment in Mexico in 30 years – based on a well-informed view of global markets and clear understanding of how Etileno XXI could provide Braskem Idesa with a host of competitive advantages. 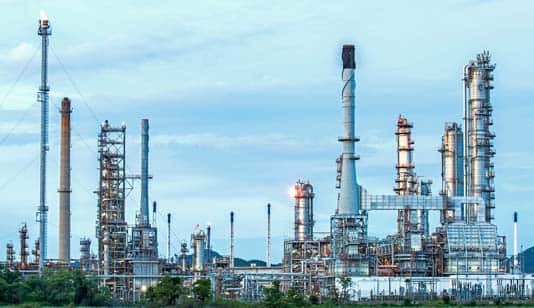 "We made the decision to move forward at a critical moment in the market's evolution because we had – and have – a long-term view of the petrochemical industry," said Roberto Bischoff, Chief Executive Officer of Braskem Idesa. "That perspective has enabled us to take action with confidence that our investments today will deliver strong and sustainable growth when the plant is fully operational – starting next year and for decades to come." Each step of the way from concept to implementation, Braskem Idesa decision-makers needed independent information and analysis of current market trends as well as long-term market projections and risk/reward scenarios. Company leaders turned to IHS Markit to get data and analysis for a continuous stream of reports to key stakeholders – first to the boards of Braskem and Idesa and then to shareholders and lenders. Things don't happen by chance. We had the right long-term strategy and a nucleus of senior people researching market opportunities and building strong relationships so we were ready to make Etileno XXI a big success. While these ongoing reports were important for all stakeholders, they were particularly vital for lenders since a bank's perception risk has significant impact on the cost of financing. If a project appears risky, the bank is likely to demand higher rates of return and/or more safeguards that drive up the overall cost. Braskem Idesa used long-term IHS Markit forecasts to show that the ethane feedstock for Etileno XXI will be competitive from the outset and become even more advantageous as the shale gas revolution gains momentum. In addition, Braskem Idesa also used IHS Markit analysis to provide long-term forecasts of demand for plastics, polyethylene, and the complex´s co-products – including potential applications and possible competitors. To meet Braskem Idesa's ongoing need for broad and deep market intelligence, Chemical took the lead and pulled together a multi-disciplinary team of experts from Energy, Economics and Country Risk, IHS Markit Supply Chain and Technology. "Things don't happen by chance. We had the right long-term strategy and a nucleus of senior people researching market opportunities and building strong relationships so we were ready to make Etileno XXI a big success," said Cleantho de Paiva Leite Filho, Director of Business Development for Braskem Idesa. "Through multiple rounds of due diligence, we were able to assure our stakeholders that we know what we are doing so their money will be safe and they will earn a great return on their investment." As a result, Braskem Idesa secured $3.2 billion (US) in financing from 17 different lenders out of the total $4.5 billion, which is the largest private investment in Mexico during the past 8 years and the largest-ever investment in Mexico by a Brazilian company. Protecting the people and planet – smart design and technology choices ensure worker safety and minimize environmental impact. Respect for local cultural treasures is shown by construction crews in the jungle, who take steps to preserve and catalog any uncovered Olmeca artifacts. Opening up broad opportunities for prosperity – Braskem Idesa has hired up to 17,000 workers, 85 percent of whom were from Veracruz. New investments in local infrastructure and additional revenues will benefit federal and local government. Forging strong relationships with the community – offering technical training and literacy programs to the local populace. Company representatives share a wide range of information about the project with the community through regular town hall meetings. The Etileno XXI plant is on schedule for completion in 2015 and full-scale operation by January 2016. It will be the first major grassroots facility to come on-stream in North America since the shale gas revolution. When operating at full capacity, this new plant in Mexico is expected to add 15 percent to Braskem's vast global revenues and increase those of Idesa by 200 percent. Eventually, Braskem Idesa plans to sell up to 80 percent of Etileno XXI product in Mexico but will take several years to win market share from established US competitors. Until then, company strategists plan to continue working with IHS Markit to seek profitable export opportunities in Latin America, the United States, Europe and Asia. "To grow our new business, we must continue to track and forecast petrochemical manufacturing and sales in markets all around the world. Very few firms besides IHS Markit are able to help us do this," said Leite Filho. "We're confident that Braskem Idesa can compete successfully because we have a guaranteed supply of affordable feedstock, we're putting in efficient, leading-edge technologies and we have a winning strategy."